ALS Awareness month comes to a close today, but patients, caregivers and loved ones of those with ALS continue to live with the physical and emotional effects of the disease. August will mark two years since Ben left this world, free from his struggle with the disease. I want to conclude this month by offering this wisdom from Mrs. Potts of Beauty and the Beast fame. I have written often about Ben’s bravery and persistence. It has taken me a long time to come to understand that I was brave in a different way. And, I can honestly say that hope played a tremendous part in our lives. There was hope that things would get better and we would find innovative ways to help him eat, use his electronics, and maintain a good quality of life. There was hope that the next day would be less stressful. There was hope that each day would have some smiles and laughs. There was hope that I would remain patient. There was hope that Ben would accept that his needs were increasing. There was hope that he would have more time. There was hope that the disease would progress slowly. There was hope that he would transition peacefully. Was it naïve to hope? Was it like my tossing coins in Cinderella’s Wishing Well? I don’t think so. To wish is to hope, and I have often written about wishes on this blog. Hope allowed me to reach for optimism. It allowed me to see the positive things, even if the big picture was not good. 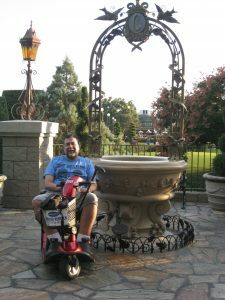 It allowed me to recognize and be relieved and content that one day was better than the prior one, not because the ALS was getting better or going away, but maybe because we were in better moods or successfully solved a problem. Hope allowed me to fantasize in a healthy way, remembering wonderful times and trying to recreate those and create new ones. It allowed me to be a creative thinker. It allowed me to smile, even through tears. Hope was my pixie dust. Because I had hope, I was able to open my mind to finding ways to help Ben and to help myself. Hoping beyond hope that Ben would transition peacefully gave me the mindset to work towards making that happen. Love let me cope with the moments when hope was waning. Hope also has helped me get through grief. It has allowed me to envision a positive future without Ben but with love. It allows me to seek opportunities to help others who are dealing with ALS. I still have hope and I do make wishes. I hope that I always honor Ben’s memory in a way that he would appreciate. I hope that my blog and interactions with people affected by ALS will help and comfort them. I hope that I will find love again. I hope beyond measure that a cure will be found for this horrible disease. In a way, hope is a gift, because it allows you to escape some harsh realities. I hope that all of my readers who are affected by ALS will find ways that inspire you to be hopeful and to see past the dark clouds to clear your mind, if only temporarily. There are reasons to be hopeful as we look at the research being done. There is also hope for comfort and the future as we look at the communities and forums of supportive and caring people that connect us because we share a deep bond of understanding and empathy. Yes, ALS Awareness Month is ending. But, I hope that the determination never wanes to continue to raise awareness of ALS and the brave battles fought by people like my Ben. I agree with Mrs. Potts. If you lose hope, you lose everything. 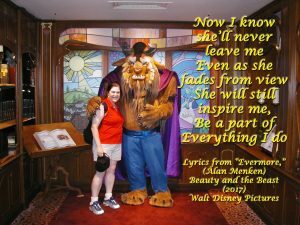 I was excited to see the live action Beauty and the Beast on its opening weekend. Beauty and the Beast was a special film for Ben and me, so I knew it would be emotional to see it without him. I tried to see it through our eyes, as if he was sitting next to me. Sometimes that made it easier, sometimes it made it harder. 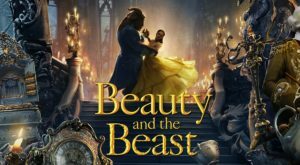 When I love an animated film, as I do Beauty and the Beast, I worry that the live action will disappoint. It did not. 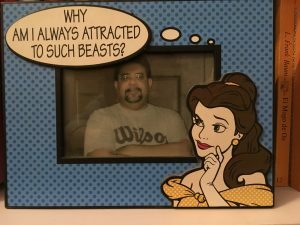 Beauty and the Beast was absolutely spectacular, with excellent casting. I was captivated. And, at the end, I could feel Ben smiling. I, of course, was a puddle of tears! These lyrics touched my heart, so simple and yet so profound. I know that Ben would have handed me tissues knowing the tears would flow. 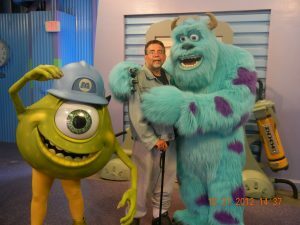 But this is the magic of Disney. At the heart of the whimsy and fantasy lie our deepest emotions. I believe that these lyrics beautifully capture the thoughts of caregivers and those grieving the loss of a loved one. In caregiving, I grieved the loss of the life we had. I grieved what ALS took away from Ben and from us. I grieved the relationship we had as it shifted to that of caregiver and patient. We clung to memories and those brought a mix of pain and joy. And, we both lived with the knowledge that Ben was going to “leave,” as he referred to dying. In grief, I have relied on the memories and the love that we felt. The heartache is there, but as the song says, “it is love we must hold onto.” I write so often of the importance of the memories that keep Ben in my heart. Love and our stories will always keep him there, along with my parents and other loved ones. Early in our relationship, Ben gave me this frame with his own picture inside. I immediately got the soundtrack to the film, which I also heartily recommend. And, although it makes me cry, I keep listening to this song and the longer version, performed by Celine Dion. Just like “One Dance,” this song struck a chord (pun intended) within me! Sometimes I am caught off-guard by overwhelming emotion and at other times I just need to immerse myself in the grief and have a good cry. Music and lyrics were so important to Ben. I believe that he would appreciate how the lyrics of this song spoke to and moved me, and how they confirm that he will always live on in the song that was our love and life. As for the comparison to the original, animated version of the film, I love them both. When I came home after seeing the new version, I immediately watched the Blu-Ray of the animated version. It remains dear to my heart. I don’t think they detract from each other in any way. In my opinion, they are both wonderful. I will enjoy watching them both on Blu-Ray! I told Beast that he was much more handsome in person!